This DLC consists of five different people's stories at different times starting from Day 2 all the way to Day 236. On Day 400 another character finds all of these folks joined together at a camp. She proposes that they go with her to join her large settlement. By the end of this its obvious that this is all build up for the next "season" of the Tell Tale Walking Dead game. Its rather apparent that theres a certain order to play each persons story but you can play them in whichever order you want. It's good but it's really short. I feel like it forces you to do multiple play throughs but in a good way at least if you want the full crew. At first I only got 3 to go so I replayed it. Now I only need to get Russell so I will at least play it once more. The gameplay seemed more fluid and interactive this time around. It's only 400 Microsoft points so it doesn't feel like a rip off even though it only takes a few hours to play through the whole thing. If you've never played or seen the game before its good to know that the graphics are of a cell shaded style and the gameplay consists of a lot of QTEs(quick time events), which are made up of mostly dialogue choices that lead to decisions you make in the game. I completely recommend this DLC to people that like the Walking Dead show, comic, and have not played the "Season 1" game. I say that because this in no way correlates to any previous Walking Dead material, except that its the same universe of course. 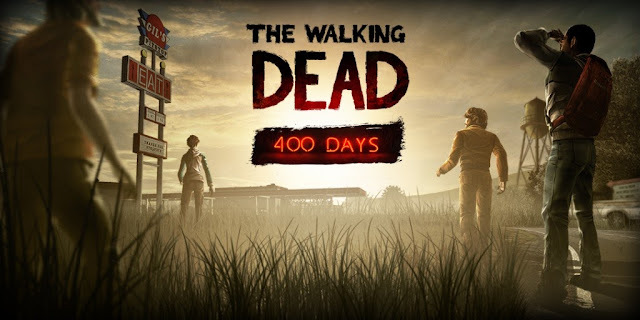 Players that have experienced "Season 1" may be a little confused at first because it has nothing to with any of the previous episodes and characters of the game and are left wanting more because it is so short and really leaves you wanting to continue this new story that is left with a new group of people about to take a journey towards the only hope they have. All these reasons and more are why I give it a BUY for anybody that likes Walking Dead not just gamers.